In the occupied Sevastopol, garbage has been burning in a landfill in the Yukharina gully for three days. On the first day the rescuers extinguished the fire, but left the dry branches smoldering. “In the area of 100 square meters, garbage and felling material caught fire. 17 units of equipment and 39 people are involved in the extinguishing,” reads the message of rescuers. Not far from the landfill there is a pine forest and a residential area, which inhabitants complained of an unpleasant smell. 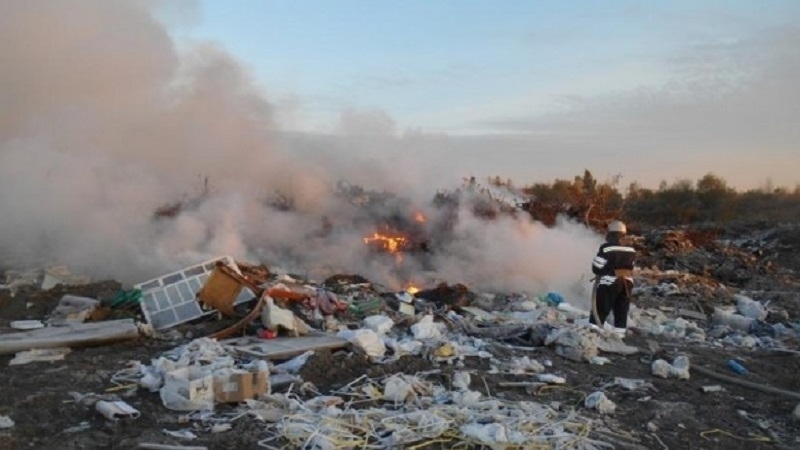 The so-called Deputy Head of the Main Directorate of EMERCOM of Russia for Sevastopol Aleksei Gusev commented to local media that too much money is being spent to extinguish fires that constantly occur in the landfill. It should be noted that the problem of an unauthorized landfill in the area of occupied Sevastopol was spoken for several years. The locals complained to the authorities that dry branches and other wastes were being damped there, but the authorities ignored the appeals. Earlier QHA informed how the invaders "solve" the problems of medicine in Sevastopol.